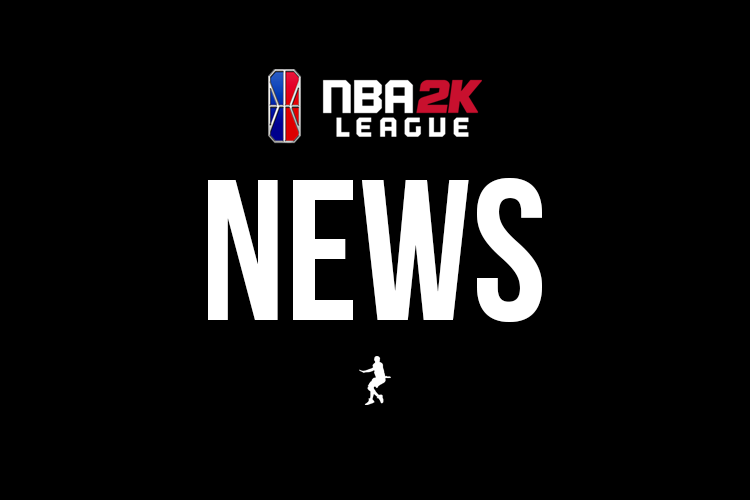 Keeping track of all the news and announcement about protection and retention of NBA 2K League players. Each team protects two players before the expansion draft, and can retain up to two more following it. Confirmed: 76ers GC will retain Newdini and ZDS, at the cost of a 2nd and 3rd round pick, league sources tell DIMER. After making the semifinals, the team lost defensive stopper Feast to T-Wolves Gaming in the expansion draft. Confirmed: Sharpshooter Yeynotgaming will return to champions Knicks Gaming for season two, the team announced. The move, Knicks Gaming’s second retention, will cost the team a second-round pick. Confirmed: Celtics Crossover Gaming announced that it has retained Profusion for the 2019 NBA 2K League season at the cost of a third-round pick. Confirmed: Blazer5 Gaming announces that it has retained LavishPhenom for the 2019 season. The move will cost the team a third-round pick. Confirmed: Cavs Legion GC announced that it has retained Goddof2k at the cost of a second-round pick. Confirmed: Pistons sixth-round pick JosephTheTruth has been retained at the cost of a second round pick. Confirmed: Knicks Gaming will retain IdrisDaGoat at the cost of a third-round pick. Confirmed: Heat Check Gaming will retain third-round pick 24K Dropoff, in a move that surprises no one, at the cost of a 2nd round pick in the 2019 NBA 2K League entry draft. Here’s the full chart of player protections, made by our friends at 2k Analytics. Confirmed: As first reported by DIMER, Magic Gaming will protect versatile second-round pick UCManny as well as sixth-round pick KingCamRoyalty, whose insertion into the lineup early in the season turned around the Magic’s fortunes. Confirmed: As first reported by DIMER, Pistons GT will protect MVP candidate and first-round pick Lets Get It Ramo, one of the best big men in the league, and second-round pick Insanity, who led the second half of the Pistons’ balanced offensive attack. Confirmed: As first reported by DIMER, 76ers GC will protect point-guard maven Radiant and pick-and-roll partner Steez, the team announced. Confirmed: Cavs Legion GC announces that it will protect Hood, one of the league’s best scorers, and second-round pick Sick, a versatile 1-5 player. Confirmed: Celtics Crossover Gaming announced that it will protect star point guard Fab and versatile forward Mel East. Confirmed: Bucks Gaming announced that they will retain first-round pick Game6Drake and versatile, top-notch personality BigMeek. Confirmed: Kings Guard Gaming will protect second-round pick Worthingcolt, who transitioned to point guard late in the season, as well as third-round pick Timelycook, a defensive player of the year candidate. Confirmed: Warriors Gaming Squad will protect defensive player of the year candidate Type and second-round pick BSmoove. Confirmed: Heat Check Gaming will protect MVP candidate Hotshot and second-round pick Majestic. Sources: Magic Gaming will protect second-round pick UCManny and sixth-round pick KingCamRoyalty, who rejuvenated the team after being inserted into the lineup early in the season. Confirmed: Utah Jazz Gaming announced that it has protected first-round pick Compete and versatile third-round pick OGDeedz. Sources: 76ers GC will protect first-round pick Radiant, one of the league’s best point guards, and pick-and-roll partner pick Steez. Announcement has yet to be made. Sources: PistonsGT will protect first-round pick and MVP nominee LetsGetItRamo as well as second-round pick Insanity. Confirmed: League champion Knicks Gaming announced that it will protect point guard iamadamthe1st and first-round pick Goofy, the league’s most lethal pick-and-roll combo, meaning that Finals MVP NateKahl will almost certainly find a new home in the expansion draft. Confirmed: In a totally unsurprising move, Blazer5 Gaming announced that they have protected first-round pick, league MVP and DPOY OneWildWalnut, as well as pick-and-roll partner, and “Turn” MVP MamaImDatMan. Confirmed: Mavs Gaming announced that it will protect first-overall pick Dimez, who played point guard and the shot-creating slasher most of the season, and second-round pick Dayfri, a Texas native who spent most of the year as Dimez’ pick-and-roll partner. Confirmed: Pacers Gaming announced that it would retain first-round pick WoLF, who rejuvenated the team’s season after a move to point guard, and Swizurk, one of the league’s premier shooting guards. Confirmed: Raptors Uprising GC announced that it would retain first-round pick Kenny, who played small forward for the majority of the season, and AllHailTrey, who emerged as a key defensive stopper and stretch big during the season. Confirmed: Wizards District Gaming announced that it would retain first-round pick DemonJT, who spent the majority of the season at point guard, and second-round pick BooPainter, an MVP candidate who led the league in scoring.